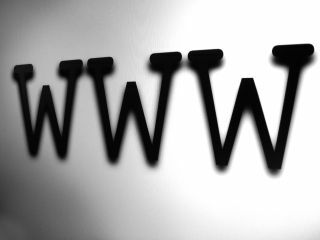 A new European domain name which allows domains to be entered into web browsers using all 23 official European Union languages is to be unveiled this week, paving the way for accents to be added to web addresses. Essentially this means that the web is to be opened up to URLS which can be written in local European languages. So, if you fancy having café instead of cafe, this will now be recognised. "This is an entirely new way of thinking on the web," explained Matt Mansell, CEO, Domainmonster.com, about the change. "European businesses and consumers, previously forced to communicate in a limited ASCII character set, can now advertise, communicate and navigate the internet as they do every day life." If you want to register your European web domain, then you will have to get in quick. Domainmonster.com, who is supplying the international domain names, is not giving rightsholders a grace period so when the doors open on Thursday (10 December) any names can be snapped up. Domainmonster.com is accepting pre-orders already on a no-win-no-fee basis at www.domainmonster.com/. More details about .eu IDN (International Domain Names) can be found on-line at www.domainmonster.com/domains/eu-idn/.